Hubby and I love watching Drinking Made Easy, they have visit towns and tour bars, showing off crazy and signature drinks. This one was from Memphis, and is made with grape pop, so we said "Yes, Please!" Plus, we have always wanted to try flavored moonshine, for no good reason at all. We got a bit crazy and decided to do it. Now this is was not a cheap beverage - consider finding a generic raspberry liqueur if you can. Of course all spirits are an investment in future jello shots for us so we sprung for Chambord. We substituted strawberry moonshine for cherry. 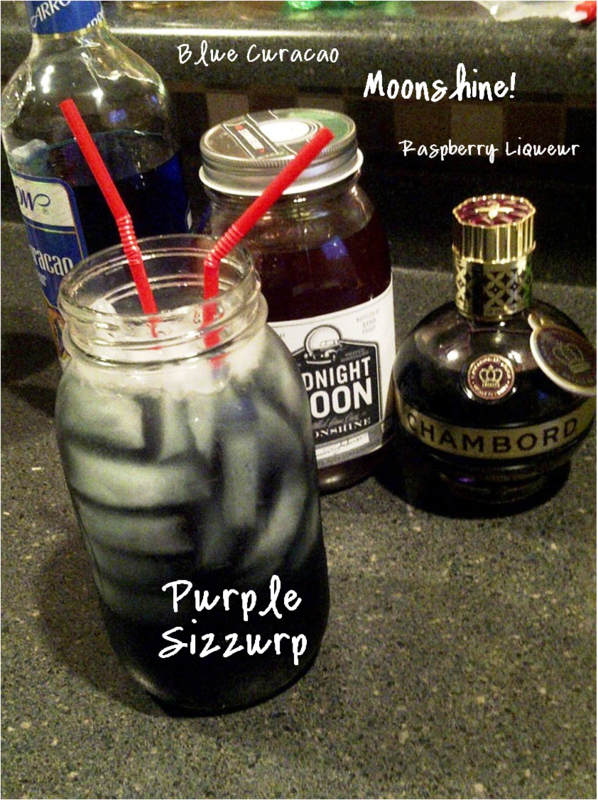 Hubby loved this drink, it was just ok for me, but it was super fun to try something new.